March 8th marks International Women’s Day, a global celebration of the social, economic, cultural, and political achievements of women. Over the past year, we've witnessed a wave of women rising. Women are standing up, speaking out, and continuing to organize. Movements such as #TimesUp and #MeToo have illustrated that women and girls of all ages have suffered violence and inequality for too long. At World Education, we work to #BuildUpGirls and believe that everyone should have access to quality education. 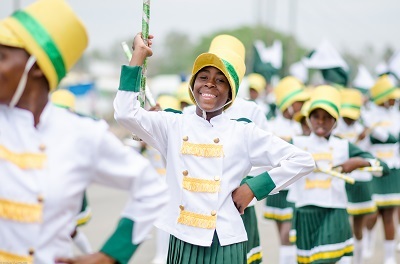 World Education programs help girls stay in school, and help women improve their livelihoods and gain access to or create new educational, financial, and social resources in their communities. In turn, these programs have a positive impact on some of the most profound issues we face in society today: violence against women, HIV, and peace and security. - Ton Bon Eaing, Damnak Slang Primary School deputy director. World Education’s Total Reading Approach for Children Plus (TRAC +) program in Cambodia trained educators and strengthened the capacity of school administrators, like Ms. Eaing, to improve literacy outcomes for youth across the country. 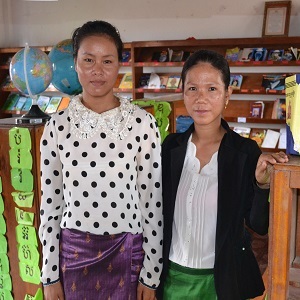 Through the TRAC + program, Ton Bon Eaing and school librarian Phan Yam were able to expand the school library in their community and increase access to books and technology. 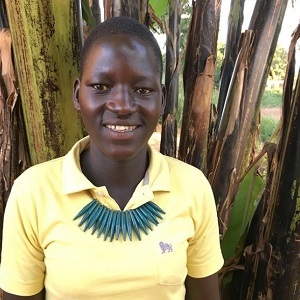 As part of the DREAMS Innovation Challenge project in Uganda, World Education is empowering young women, like E. Apoyo, through life-skills training relating to HIV prevention, reproductive health, child protection, and economic strengthening interventions. Empowering women creates a ripple effect. Together, we can create a wave of change. Donate now to support women's education!